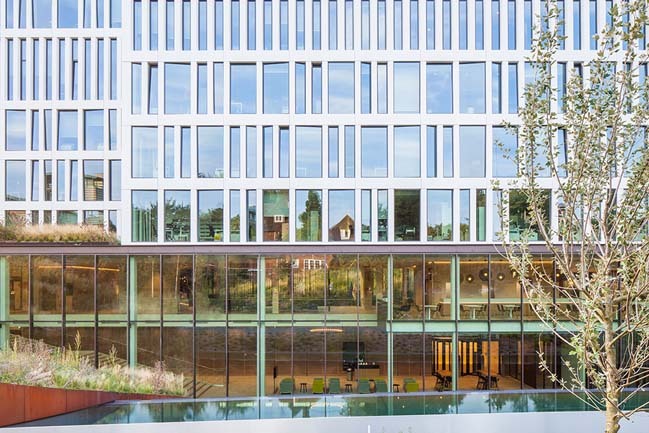 Semi-submerged in an undulating dune landscape lies the new Eurojust headquarters in The Hague, the Netherlands. 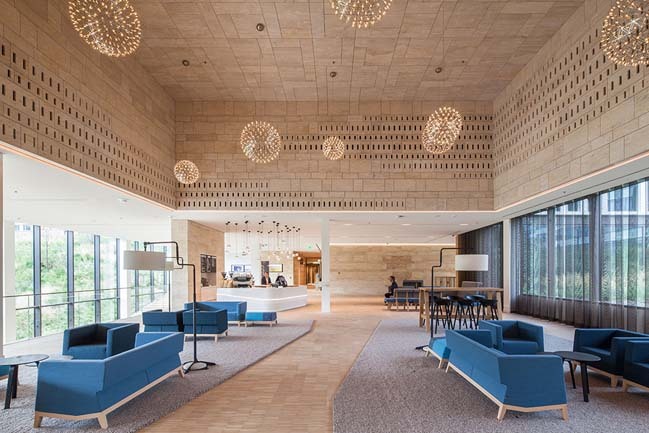 The team of Mecanoo architecten, RoyalHaskoningDHV and landscape architects DS designed a welcoming and secure building with offices, a conference centre. From the architects: Eurojust is the EU-judicial cooperation unit dealing with cross-border crime. 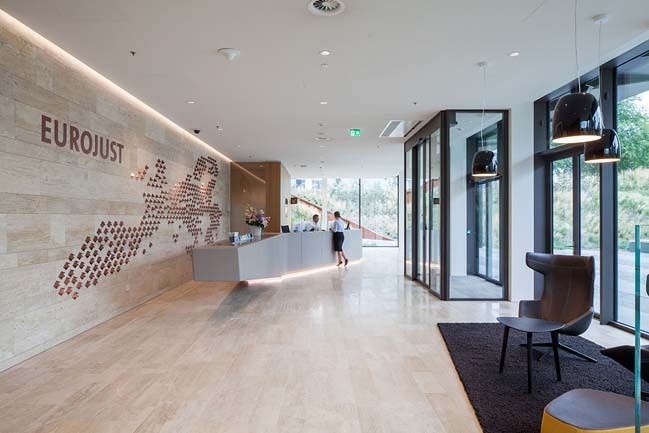 The new headquarters for Eurojust in the International Zone of The Hague were developed together with the Central Government Real Estate Agency, the Ministry of Justice and Security and the municipality. 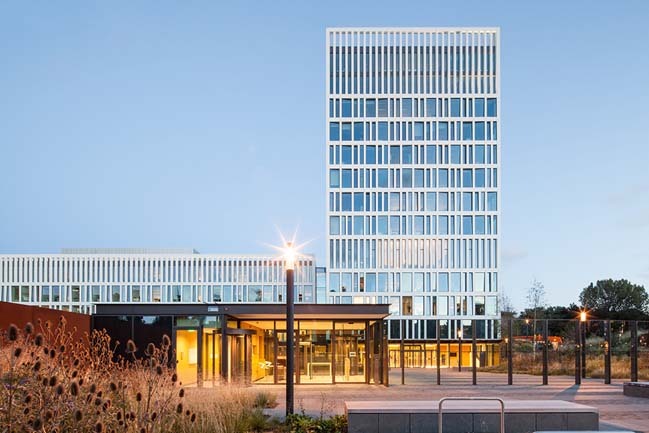 The twelve-storey building has more than four hundred workplaces and accommodates the national representatives of the EU Member States and three non-EU countries, supported by an administrative department. 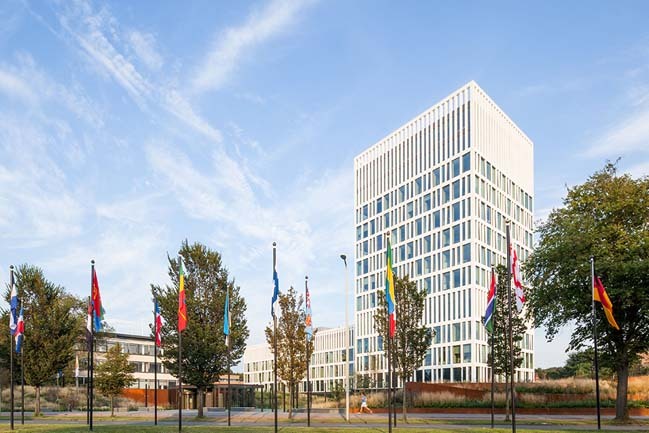 The site on the Johan de Wittlaan creates an extension of the International Zone, placing Eurojust in close proximity to organisations such as OPCW, the World Forum Convention Center and Europol. 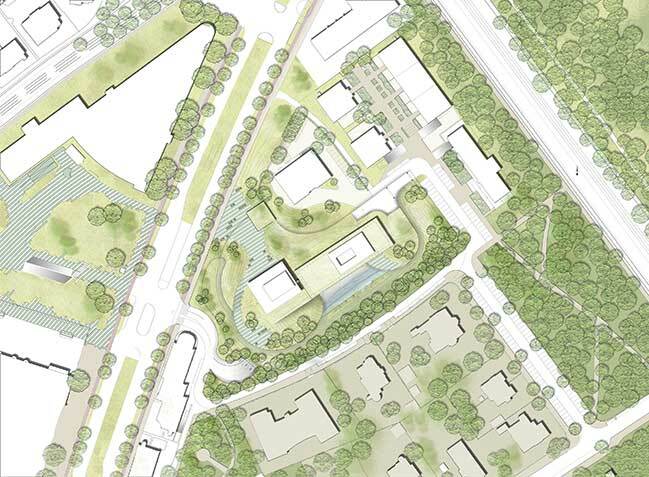 The site is adjacent to Zorgvliet Park and a residential area. 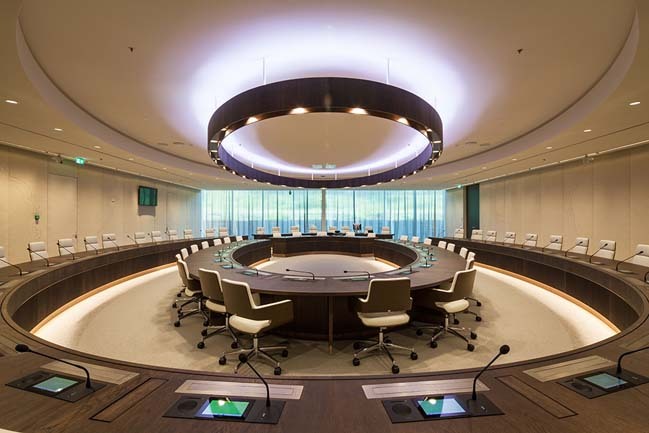 The complexity of the location and the stringent security measures required a carefully integrated design solution. As a result, Eurojust is linked to the International Zone by an undulating dune landscape with grassy vegetation and wild flowers. 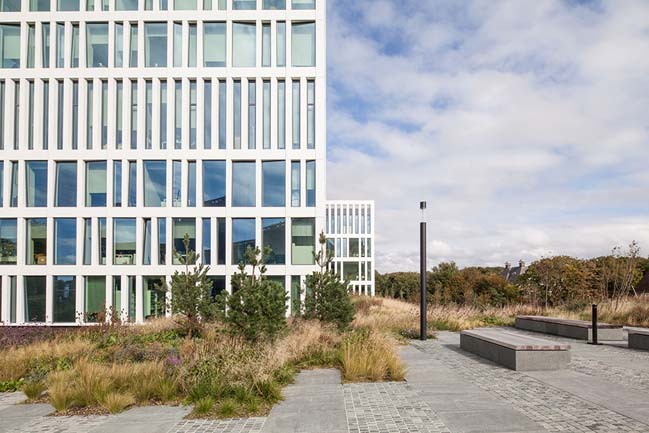 By ingeniously incorporating the security requirements within the landscape design, the building has been given an open character. The positioning of the two-floor convention centre underground helps to keep the building at a modest scale in relation to its context. 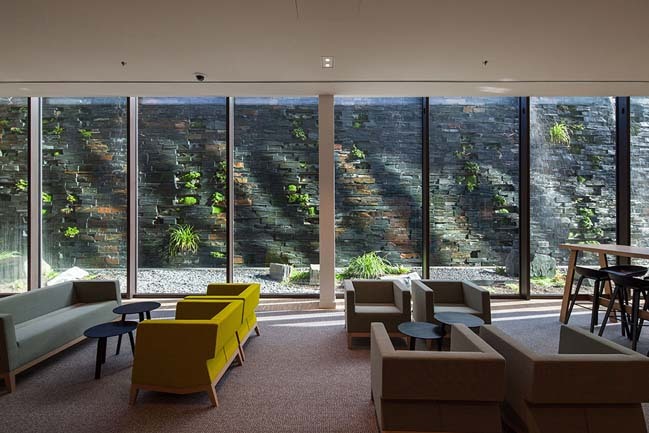 The landscape pulls away from the building along the conference lobby area to reveal a lush water wall and bring daylight into the building’s lowest levels. 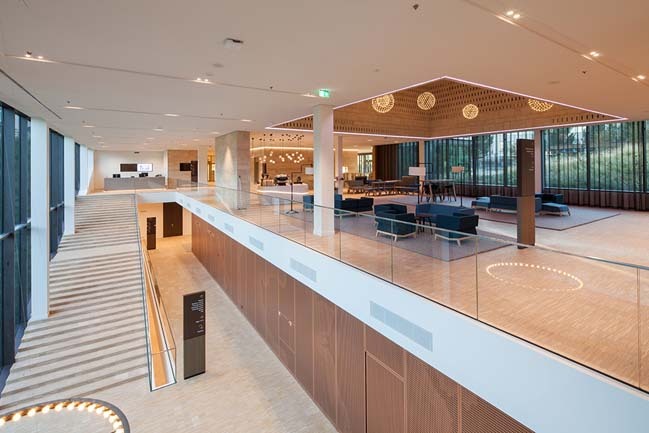 Inside, visitors are welcomed into a spacious, double height lobby. 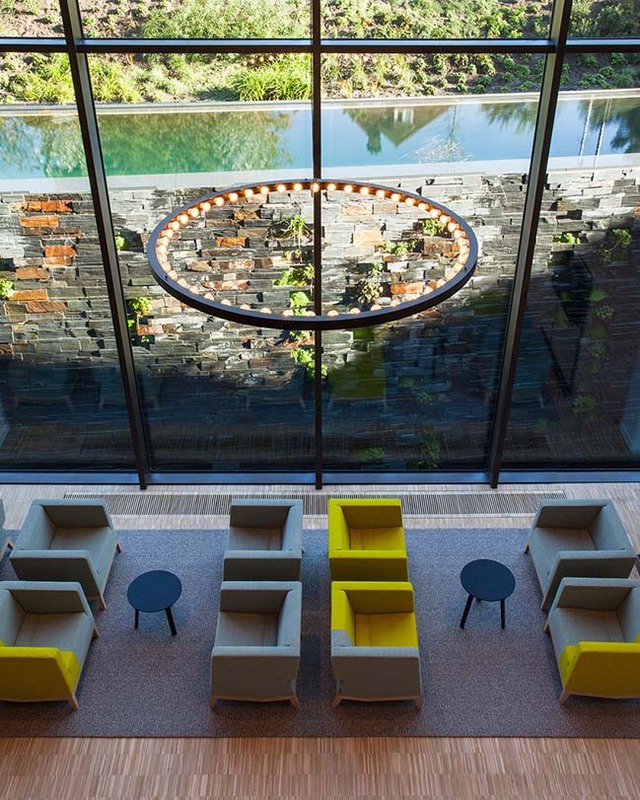 From the lobby, there is a gradual transition from open spaces to more private areas. 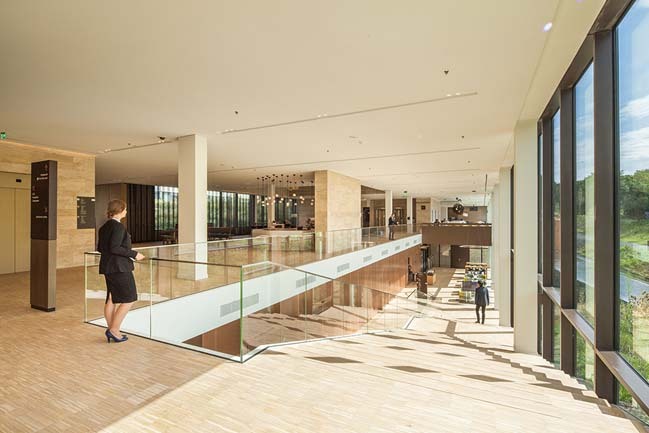 A wide staircase, overlooking the dune landscape, descends to the conference centre. 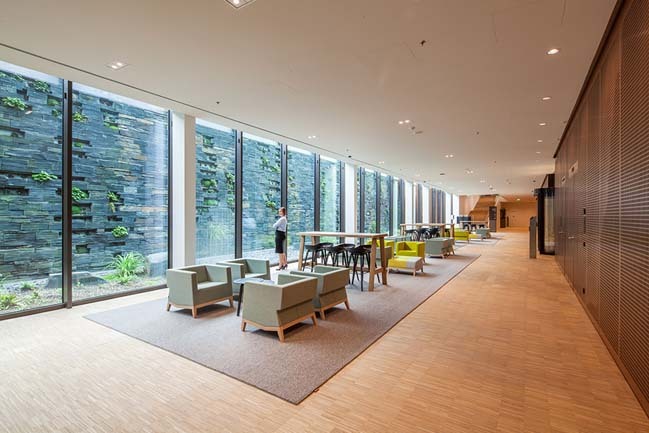 The higher levels feature a contemporary office environment that encourages cooperation. Due to the efficient positioning of different security zones, the security features have a minimal impact on the architecture. 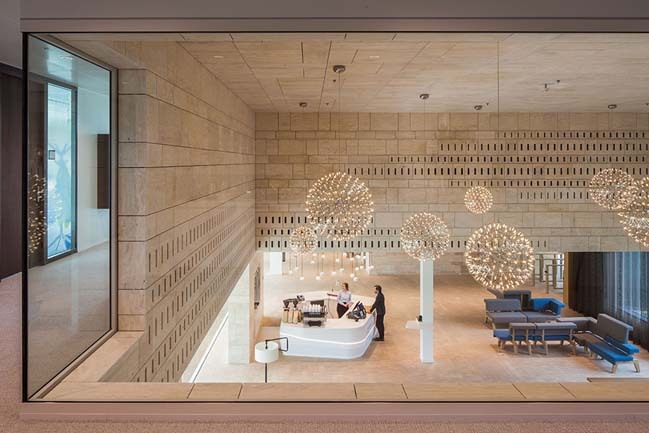 The carefully detailed interior is characterised by an abundance of daylight, the use of a rich variety of natural materials, delicate motifs and soft colours. 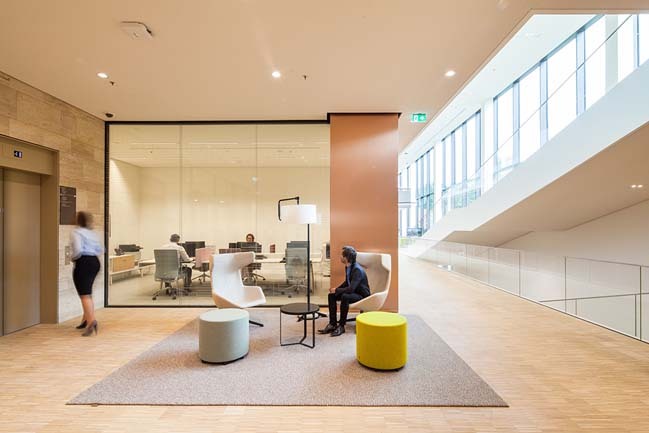 Graphic patterns on the glazed meeting room partitions allow daylight to pass through and create visual connections, while safeguarding privacy.